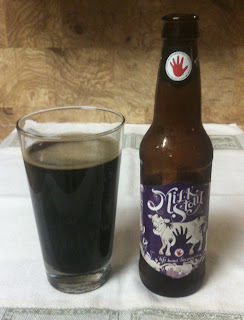 I am finishing off a full January of different beers (31!) 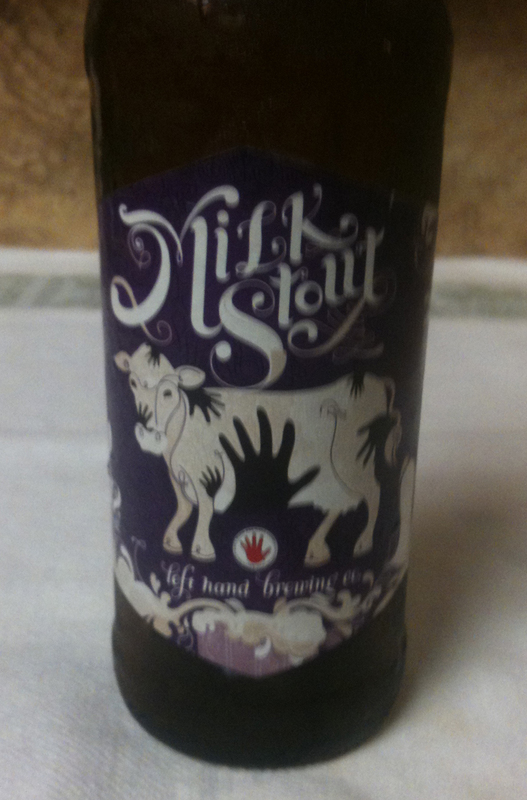 with a Milk Stout from Left Hand Brewing Company. Their web site lists ABV at 6% and IBUs at 25. Twelve ounce bottle. 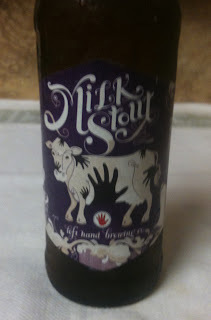 This stout poured with a brown, but very small head. The color appears black - very dark and no light penetrating through the glass. The most prominent note in the aroma is coffee. Fairly full-bodied, probably on the strong side of medium, but smooth. Some nice hops. Slightly sweet and very little bitterness. The aftertaste is mild and sweet.